I have recently become slightly obsessed with salted caramel. 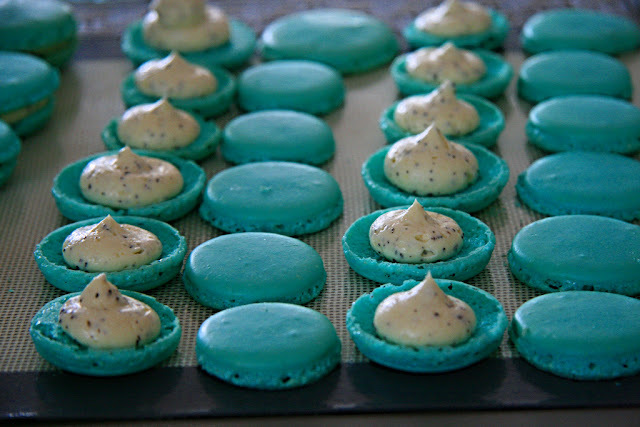 It all started when I decided to re-visit making salted caramel macarons. In the past, the salted caramel that I made has either been too hard (candy stage caramel), too runny (making a huge mess when filled in macarons) or had the consistency and flavour of what was butterscotch-like to me. 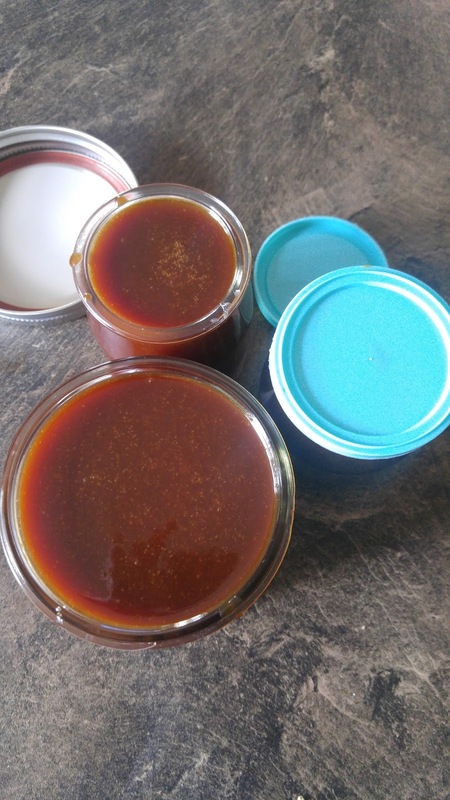 This summer, I made a batch of caramel almost every few weeks until I got the consistency and flavour that I wanted. As a Speech-Language Pathologist (my other life when I'm not blogging) I would describe the consistency that I want as "pudding thick". This is when the caramel can be spoonable, but when the spoon is placed upright, the caramel will not stay upright and slides slowly down. In terms of flavour profile, after making different batches of salted caramel with varying degrees of colour (light brown to dark), I came to the realization that a dark almost burnt caramel was best. 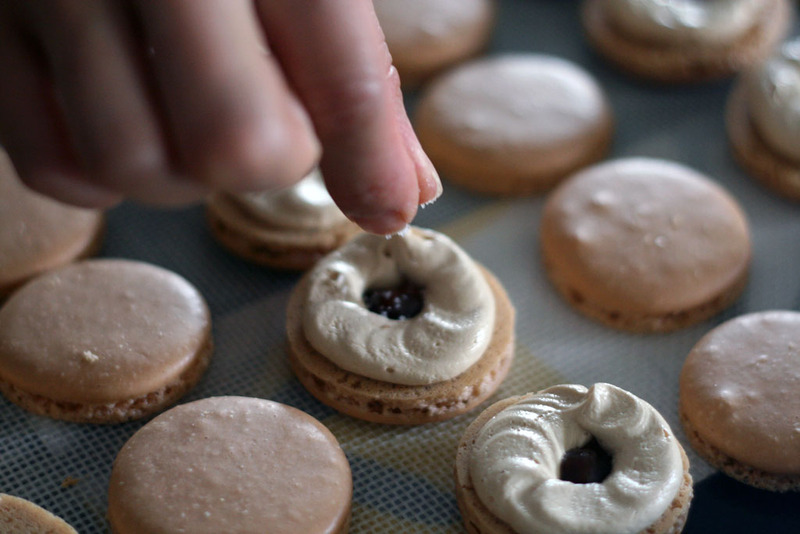 When a lighter caramel is used in the macarons it is difficult to distinguish that it is a salted caramel macaron. However, once a darker caramel was incorporated in the buttercream, everyone was able to say with certainly that it was a salted caramel that they were eating. In a heavy pot (with tall sides) pour in a cup of sugar and add in a splash of water. Melt the sugar at medium heat. Meanwhile, heat the whipping cream in a small saucepan or pot at medium heat for 5 minutes. Once it starts getting hot, turn down to low heat. Continue to melt the sugar. Do not stir or touch the melting sugar as this will disturb the crystals. Allow the sugar to melt completely. It will start to turn from a light amber colour to very dark amber (about 10 minutes). Turn off the heat and slowly add in the warmed whipping cream (in 3 parts). 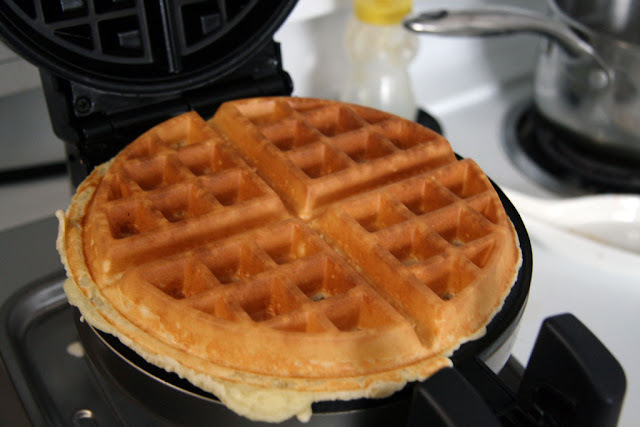 Use a heatproof silicon spatula or spoon and stir quickly. The liquid will bubble up very fast so be careful to not burn yourself. Continue to slowly pour in the whipping cream, stirring after each addition. Slowly add in the unsalted butter and stir until incorporated. 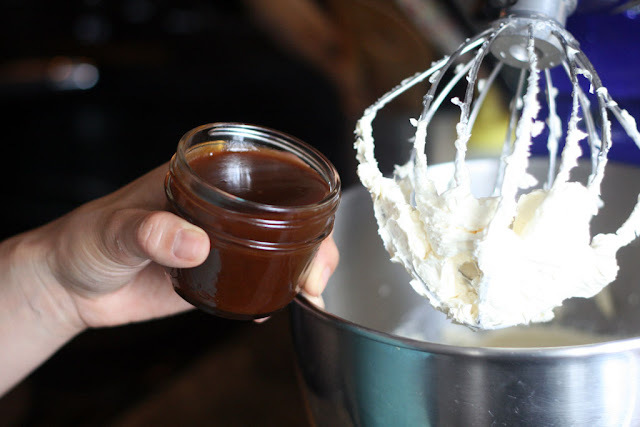 Transfer the caramel to glass jars. Once cooled they can be stored in the refrigerator. Salted caramel stored in mason jars and my re-used petit pots! Enjoy your homemade salted caramel. The salted caramel can be kept in an air tight container for a few weeks. If you want to make a double batch of salted caramel, just double the recipe and ensure you have a large enough pot with tall sides. This will prevent you from getting burned due to the steam and heat! Try out the recipe and in no time you too will have many many jars of salted caramel in your fridge! To make my salted caramel macarons click here.